Max Flow Rate: 4 CC, 6 CC , 10 CC & ABLE TO DESIGN THE SYSTEM AS PER CLIENT SPECIFICATION. 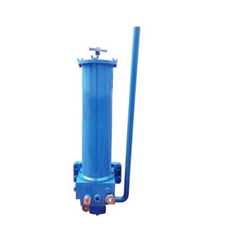 We manufacture Air Operated Grease Pump with high quality raw materials and accuracy for a trouble free performance. Everest Gear pumps are designed and manufactured to close tolerances to pump any type of viscous liquid from light oils to thickest of molasses. It comprise of grease pumps/oil pumps/oil transfer pumps which are specifically designed to lubricate vehicles and transfer the lubricant oil from drum to container. The pneumatically operated versions are suitable for mounting on 200 kgs. barrels or 50 kgs. portable drums. The hand operated pumps can be mounted on 25, 10 & 5 kgs. drums accordingly. 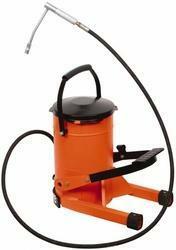 Samoa Pedal Action Grease Pump- 5 Kg. We are offering highly cost effective centralized lubrication systems such as Multi Outlet Industrial Grease Pumps. These are made by using the finest components that are corrosion resistant and waterproof and are used in diverse industrial applications. These cover up to 60 points with installation of a multi-line system.